The name Thomas Boston is certainly less well known than it once was. To the 18th century Scot however it was one known and respected by all. His works were to be found in even the most modest of households and were probably more widely read than any other apart from the Bible itself. Craig Brown in his history of Selkirkshire writes -"All pervading piety was his great characteristic, constancy in his faith and belief in the Almighty as a close incessant supervisor in every act and fact of life." Perusing Bunyan, Brown and Boston. 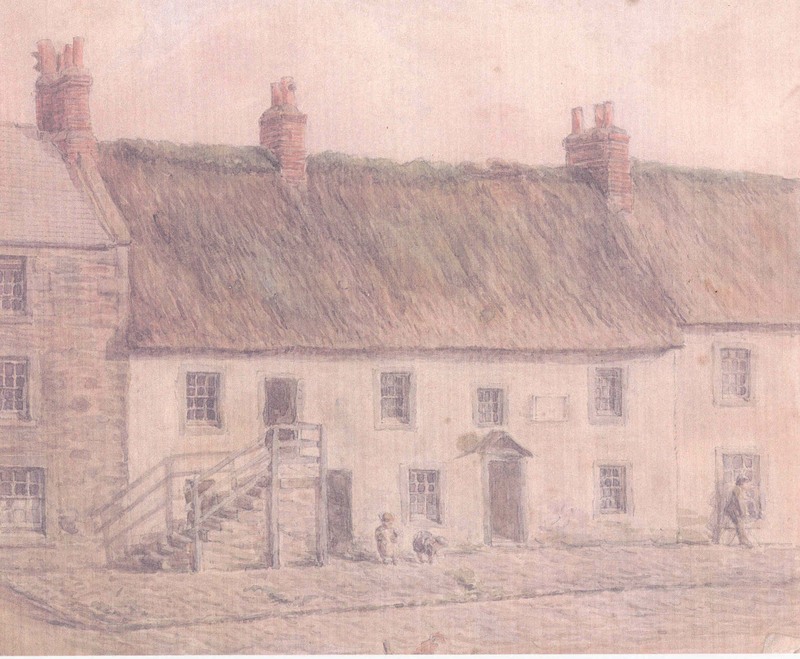 Thomas Boston was born in Duns in the year 1676 in a house in Newtown Street now demolished. He was the youngest of seven children his father being John Boston and his mother Alison Trotter. This was a period of great religious and civil unrest, the government of the day seeking to impose episcopalianism on a people who avowed a presbyterian form of worship. The Killing Times would follow within a few years when many died for their beliefs. Original Boston house burnt down 1891. Note outside staircase "When I was a boy I lay in the prison of Duns to keep him company; The while of which I have often looked on as an earnest of what might be abiding but hitherto I have not had that trial". Boston attended the Grammar School at Duns under Mr. James Bullerman and early on showed an inclination towards a religious calling. 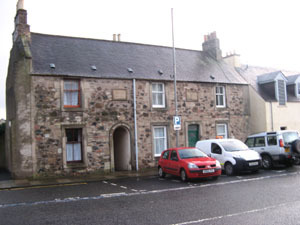 "he played pins with a companion on Duns Law on the Lord's Day"
He records though that he formed an intimacy with two boys Thomas Trotter and Patrick Gillies and that they regularly met in a chamber in his father's house for "reading of Scriptures, religious conference and social prayer" although he confesses "they had some advantage over him both in point of knowledge and tenderness"
"By his (Erskine's) means it pleased the Lord to awaken me under exercise about my soul's state. After that I went to the Kirk in Dunse no more until the Episcopalians were turned out". 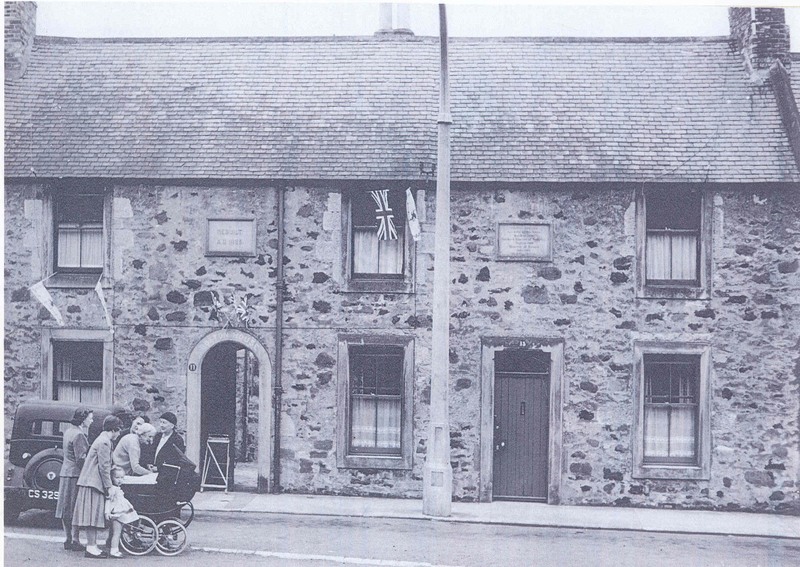 A recent photograph Boston House On leaving school Boston spent two years working in the legal office of Alexander Cockburn in Duns probably because his father lacked the means to send him up to University. Eventually however in 1694 he was able to do so on obtaining funding from the Presbytery of Duns, albeit it would seem less than �1 sterling per year. 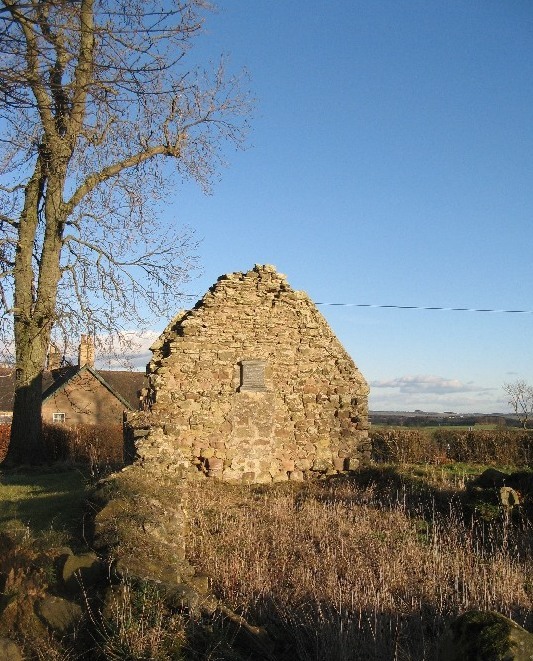 While at university he became tutor to Fletcher of Aberlady at that time residing at Kennet in Clackmannanshire. It was there in 1697 that Boston was to meet his future wife Katherine Brown daughter of a medical practitioner from Barhill in the Parish of Culross in Fife.
" I was afterwards obliged to confess before God my sin in that I had not been at more pains to know his mind before that I had proposed it"
Subsequently he moving on to the Parish of Ettrick with which he is most associated and where in 1707 he wrote his great work "The Fourfold State".
" As a testimony of esteem for the Revd. 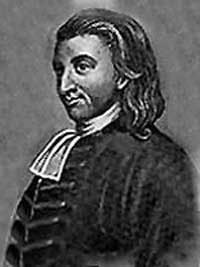 THOMAS BOSTON, Senior whose private character was highly respectable, whose public labours were blessed to many and whose valuable writings have contributed much to promote the advancement of vital Christianity. 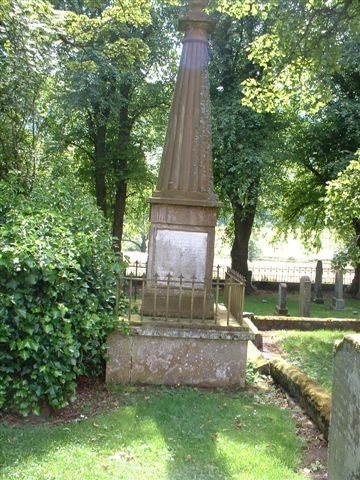 This monument by permission of his relatives is erected by a religious and grateful public AD 1806. He was born in Dunse March 17th. 1676, ordained to the Pastoral Charge of Simprim Sept 21st. 1699, removed from thence to Ettrick May 1st. 1707 and died May 20th. 1732 aged 56 years leaving a widow and four children"
A full account of his life and writings can be read in his Memoirs now available on line. In 1843 The Boston Church was built as a quoad sacra Church by the Church of Scotland as a consequence of the increasing population of the Town. In 1843 following the Disruption the building was transferred to the Free Church and a Boston Free Church School was opened in Newtown Street. 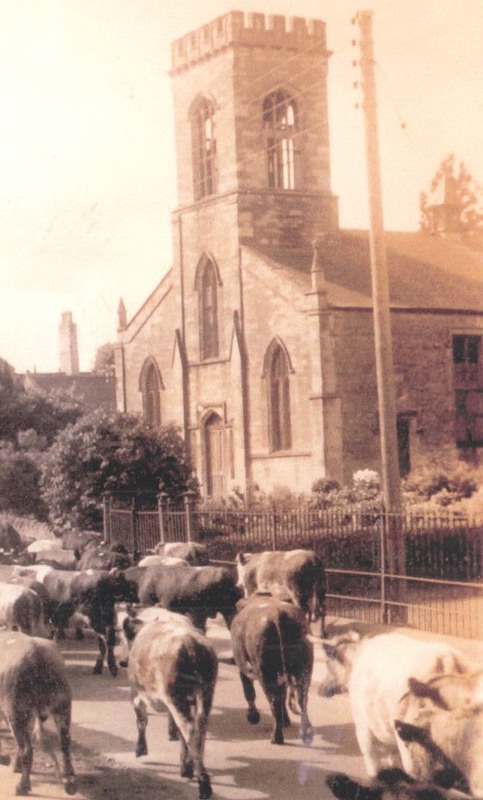 The church became redundant in 1956 and was eventually demolished in 1985. 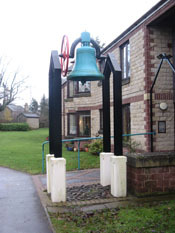 Sheltered Housing was built on the site of the Church but the former bell was mounted on a plinth and survives.